This place is all about the location and the aesthetic. It is perfectly located. Right out the front door, if you head south, you run into all of the restaurants, nightlife, and a few shops; to the north, you will find a lot more housewares and furniture shops. We really enjoyed the convenience. The facility was exactly as described. Everything functioned like it should. The authentic mid-century modern decor was very pleasing. We’d definitely stay here again. What a thrill and a unique experience to stay in such an historically significant property! I loved the black and white photos of Frey’s original building circa 1930s framed and hanging on the walls. 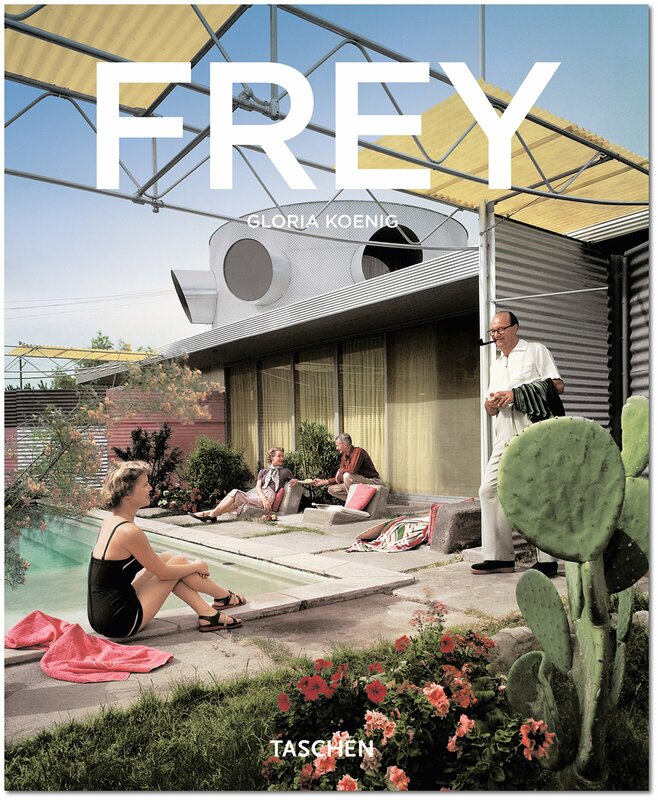 Frey’s design was so ahead of it’s time and so influential in terms of shaping the architectural landscape of Palm Springs. I love how he sparingly utilized such humble building materials because of the harshness of the desert. It has been restored beautifully, combining the historical integrity with all modern day conveniences and comforts. There were so many thoughtful touches and everything I could have needed was provided. The bed was so comfortable! The location right on the strip just can’t be beat. I loved stepping out the door and finding restaurants, bars and shops right there. That is surely a rare experience you don’t find anywhere else in Palm Springs. The Frey Kocher-Samson Apt is located in a prime location in downtown Palm Springs. It is walking distance to shops, restaurants and bars. The balcony over looks North Palm Canyon Drive with fantastic views and the perfect place to watch parades. The Frey Kocher-Samson Apt has been restored true to it’s original design, which is nothing short of spectacular. Thought has been given to the smallest of details making this a comfortable and relaxing environment. Ample parking is available. The staff/hosts are very accommodating and provide excellent service. I will definitely be staying here again on my next trip back to Palm Springs! A true gem!! I couldn’t say how great this was! I love the history of this apartment, and it was bright and sunny, in a great location with trendy restaurants, bars, and steps away from the Thursday street fair. Btw you do have to ascend a spiral staircase (2nd floor w/rooftop deck). I loved it because I was there for work and leisure, and it was the perfect place to work in a quiet location, and was so close to nightlife. Friendly too!